Beauty Bar, which hosts lots of DJ sets and electronic music, is among the targeted venues. Cook County is attempting to collect hundreds of thousands of dollars in back taxes from several small Chicago music venues, claiming that the establishments should not have been exempt from a county amusement tax because the shows they book do not constitute "live cultural performances." County code stipulates that venues with a capacity of 750 or fewer are exempt from a 3 percent tax on cover and ticket charges so long as the admission fees are for "live theatrical, live musical or other live cultural performances." The county wants to collect more than $200,000 in amusement taxes going back at least six years from Chicago Avenue nightclub Beauty Bar, according to Bruce Finkelman, a managing partner in 16" on Center, the development company that owns the venue. He says he and his associates have long believed Beauty Bar to be exempt from the county tax. Finkelman and Victor David Giron, chief financial officer for 16" on Center, say the company is engaged in administrative hearings with the county over the issue. More than a decade ago, the City of Chicago attempted to collect an 8 percent amusement tax on DJ performances from multiple music venues, claiming that such performances didn't fall under a similar city exemption. In 2006, the city's Department of Revenue ruled that DJs should be classified as "live cultural performances" (and therefore exempt from the tax) as long as the performances substantially add to or modify prerecorded material through "technical manipulation, singing, speaking, dancing or other activity." Beauty Bar representatives and Doerr note that the county appears to be targeting venues that routinely book DJs or electronic music. But Doerr, Finkelman, and Giron all say that during the administrative hearings a Cook County hearing officer claimed that rock, rap, and grunge should also not be considered "fine art" by county standards. The comments set off alarm bells for Finkelman and Giron, who say they're concerned that other venues in which they have a stake—including the Empty Bottle—will soon be targeted for amusement-tax collection by the county. "I can't figure out what is more offensive here, that [Cook County] is trying to go back on something the city ruled exempt years ago or that the music we've been presenting in the city for 25 years is not thought to be cultural or enriching," Finkelman says. County code defines live musical and cultural performances as "any of the disciplines which are commonly regarded as part of the fine arts, such as live theater, music, opera, drama, comedy, ballet, modern or traditional dance, and book or poetry readings." Paying the county hundreds of thousands of dollars in back taxes "would be crippling for our business to say the least," Giron says. Leaving aside back taxes, he adds, even imposing an amusement tax on Beauty Bar from this point forward would make it close to impossible for it to operate. Giron is frustrated that the county is going after back taxes for performances the city deemed culturally relevant and enriching years ago. "It's not news the county is struggling with budget issues," he says. "We can only speculate they saw us as a potential loophole." A spokesperson for Cook County, Frank Shuftan, offered only the following statement: "We are confident the tax applies in the matters currently before the Department of Administrative Hearings. Because these matters are the subject of litigation, it is our policy not to comment pending further hearings." Doerr says the county's attempts to collect the tax probably stem from a ruling by an Illinois appellate court two years ago that forced the Chicago Bears to pay $4 million in back amusement taxes. "My suspicion makes me think they wanted to look at every possible way to collect amusement taxes . . . and that's where we're at today," he says. Doerr believes the county will eventually lose their battle to collect the tax from the city's smaller music venues, but he worries the fight will turn into a costly years-long legal ordeal. If a court does rule in favor of the county, Doerr says, "A bunch of venues will shutter—they'll go out of business." "At this stage, my impression is common sense will eventually prevail and DJs and rock music and rap and house music will all clearly be treated as fine arts for the purposes of the amusement tax," he says. "I just worry how much money will be diverted from artist development to legal fees to get that point made." 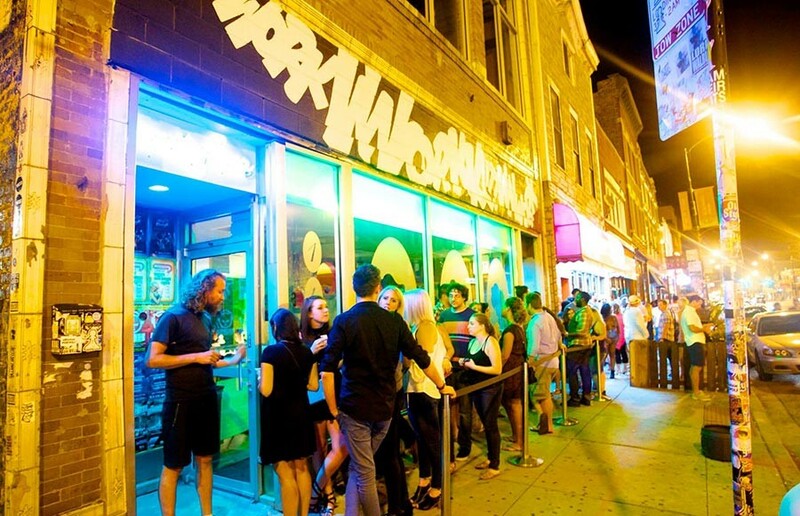 The next administrative hearing takes place Monday, August 22, and Giron suspects Cook County will rule against the venues, forcing an expensive appeal. He holds out hope, though, that some official or other will step in to stay the cases—not least because they don't want to be on the record insisting that some of Chicago's most important cultural products don't count as art. Update: The hearing on Monday, August 22, is at 10 AM at 118 N. Clark, room 1140 (11th floor), and members of the public may attend. Cook County amends its amusement-tax code to clarify that its officials aren't in the business of defining "fine art"—but several small venues are still stuck in administrative hearings arguing about exactly that. The county's chief financial officer says he disagrees with a hearing officer’s interpretation that only musical genres considered “fine art” are exempt from an amusement tax. Cook County's effort to bilk small music venues is like a plotline from Footloose. At Cook County's latest hearing on its small-venue amusement-tax exemption, the government dealt several businesses a blow that could eventually cost them hundreds of thousands of dollars apiece. Tax on tickets to Lyric Opera and the CSO? Not for now. A proposal to tax ticket sales for Lyric Opera and the Chicago Symphony Orchestra has been tabled, for now. Tickets resold online are not subject to the entertainment tax Chicago was requiring, the Court ruled Thursday. A proposed ordinance that would regulate promoters draws howls of protest--and gets tabled. Mykele Deville, McKenzie Chinn, and Jeffrey Michael Austin tell stories for black folks that aim to reach everyone.